Found one file extension association related to Pixate Studio and 1 file format developed specifically for use with Pixate Studio. 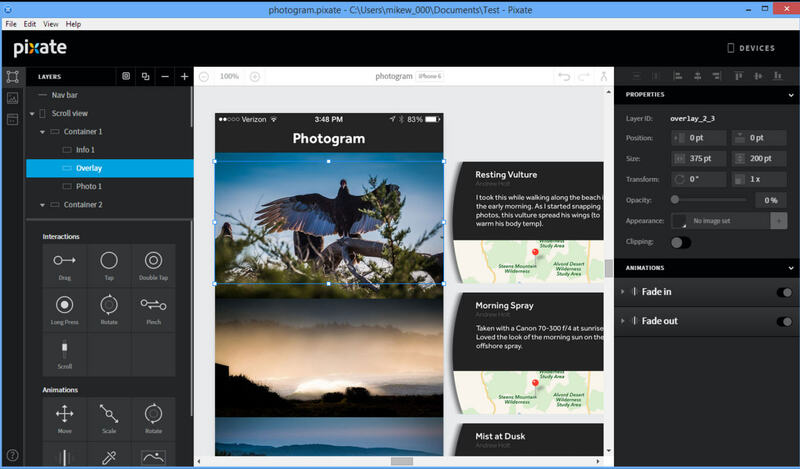 Create prototypes that feel completely real, right from your desktop. Connect your iOS and Android device to preview your prototypes in full native fidelity. And the best part: Studio is completely free. If you need more information please contact the developers of Pixate Studio (Google Inc.), or check out their product website.